This post contains major spoilers for The Last Jedi and previous Star Wars movies. The wait is finally over: The Last Jedi, the bold new entry in the Star Wars saga, is here. Like The Force Awakens before it, the film is filled to the brim with movement, our heroes (and villains) constantly on the go in moments of action and self-discovery. There was only one major expectation: it had to deliver on, or at the very least motivate, the dangling threads The Force Awakens put in place. One of those threads was also one of the biggest questions Star Wars canon has ever posited: Who are Rey’s parents? The Last Jedi spends a lot of time familiarizing us with why, exactly, this is so important to Rey. Her desperate hope to find meaning in her new journey, and to reconcile with her lonely and loveless childhood, are key to her understanding of The Force and how it functions inside of her. But, as Kylo Ren taunts in their Force-fueled fireside chats, it’s time to “let the past die.” Rey’s obsession with finding meaning in her past is what distracts her from becoming who she’s meant to be in the here and now. That’s exactly what makes the ultimate revelation so powerful: Rey’s parents were nobodies. Junkers on Jakku who sold her to Unkar Plutt for drinking money. It’s an answer that deepens and redefines what we’ve come to expect in a Star Wars story. Our new hero isn’t of a privileged, famous bloodline, or an immaculately conceived prodigy. She’s a normal -- albeit gifted -- person plucked from obscurity and tasked with reforging a legacy she’s only now learning about. She’s someone who grew up on the legendary stories of Luke Skywalker who came to know him as a human, not a hero, and will now succeed him in his efforts to rebuild. It’s a powerful message to send, one that is really at the core of what The Last Jedi is trying to say. It's also, as we learn by film’s end, a setup for where Episode IX might go and what the entire sequel trilogy is ultimately about. Though fans may have trouble reconciling with Rey’s outsider-turned-hero status, since it stands in contrast to the Skywalker lineage of the earlier films, it’s ultimately what makes The Last Jedi so special. 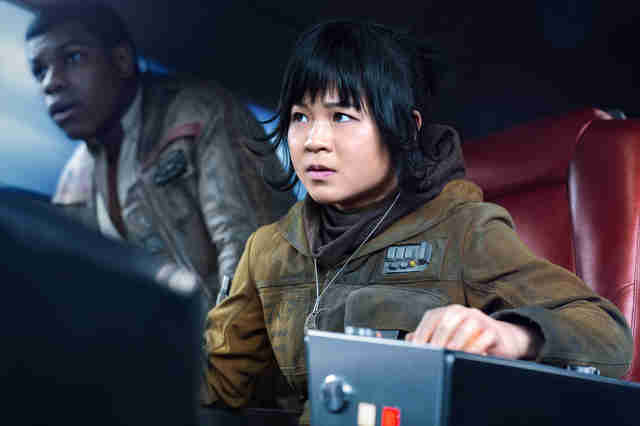 And Rey isn’t the only character whose lowly upbringing positions her for heroism; Episode VIII introduces us to Rose and Paige Tico, two sisters from a mining planet that was destroyed by opportunists as conflict and war spread through the galaxy. In the film’s opening moments, Paige sacrifices herself to bomb a First Order ship. Her death leaves a mark on Rose, who uses her sister’s bravery to motivate Finn. Later in the film, Rose rises to hero status herself, saving the abused fathiers (a.k.a. the floppy-eared horses) in Canto Bight, and later fighting in the battle of Crait. Like Rey, there’s so storied or glorified past motivating her bravery. She’s moved by experienced and circumstance, and desperate hope so see the galaxy restored to a place of peace. She uses that hope to inspire the children in the Canto Bight racing stables, one of whom we learn in the final scene is Force-sensitive himself. The idea of power coming from every corner of the galaxy is a potent one, and something exemplified in The Last Jedi’s final moments. It also brings weight back to The Force Awakens; we can now assume that that title wasn’t just referring to Rey, but to the sudden enlightenment of Force-sensitive people everywhere, their powers coming to fruition as the galaxy slips deeper into hopeless destruction. It’s hard to say if the Force-sensitive stable boy a.k.a. Broom Kid will be a character in Episode IX. Probably not, if I had to guess. His presence is a symbolic one, meant to show that Rey isn’t the only other Force wielder in the galaxy, and that she won’t be alone in rebuilding the Jedi Order. As Yoda tells Luke in their moment of reflection on Ahch-To, Rey has all that she needs now. The Jedi books are safely stored in the Millennium Falcon, and in systems near and far there are children from every background waking up to the special powers that lie within. People from every background getting to be heroes is a quintessential Star Wars message, especially exemplified in The Last Jedi, and no doubt the main idea going forward. It’s a message that’s is blurred somewhat when you get too wrapped up in the Skywalker family bloodline, starting with Anakin, a literal child of the Force. That mystic stuff is further subverted in The Last Jedi, where we finally come to understand that Skywalker blood is more of a curse than a blessing. It poisoned Vader and Kylo Ren, and burdened Luke with a hero status he could never live up to. A prestigious family name isn’t all its cracked up to be. But that subversion reenergizes the franchise, and takes us back to the heart of the original trilogy before it was muddied with Midichlorians. It harkens back to the rogue smuggler Han’s transition to Rebel leader, or Luke -- before we knew the weight of his last name -- standing in the sand, looking brightly toward a better tomorrow. 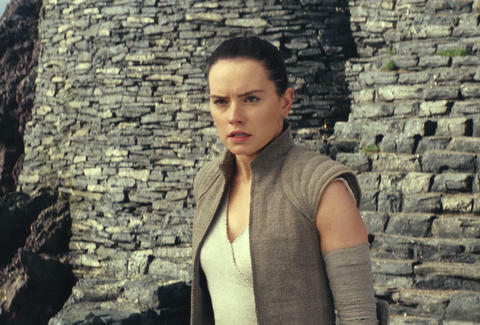 With Rey Nobody at the center of the sequels, inspiring other no-namers -- like Finn, Rose, and, inadvertently, the stable children – we have a new perfect audience surrogate, a reminder that it’s not where we come from but where we go that makes us special.